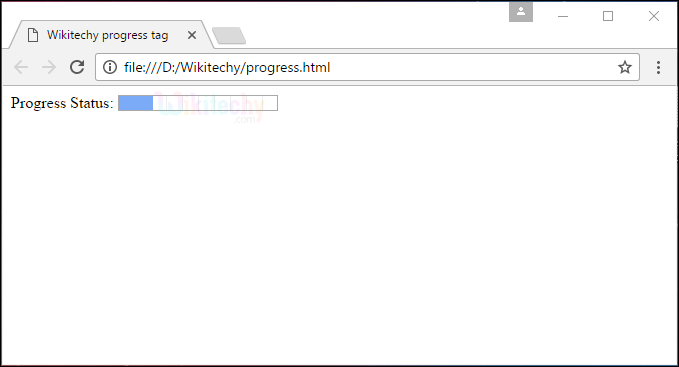 <progress> tag is used to show the completion progress of the task. <progress> tag belongs to Flow content, phrasing content, labelable content and palpable content. 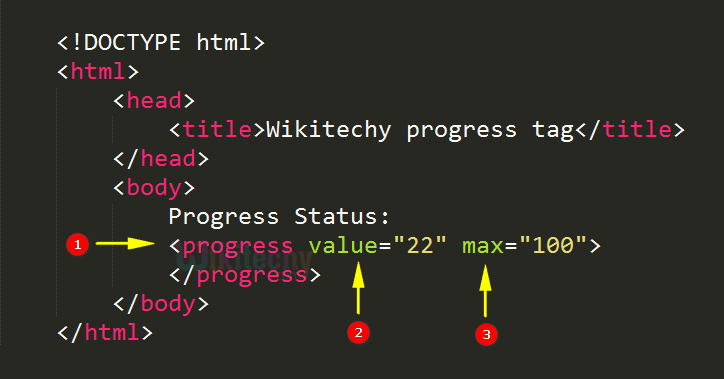 <progress> tag supports Global Attributes and Event Attributes. <progress> tag used to represent the status of the task. value is used to set the progress value. max is used to set the maximum value of the progress. The output shows the progress of the task. max number Yes Yes To specify the total value of the task. value number Yes Yes To specify the completed value of the task. The <progress> tag is not suitable for representing a gauge (e.g. disk space usage or relevance of a query result). To represent a gauge, use the <meter> tag instead.